Becoming a dad for the first time is both exciting and scary. Dads take care of the baby too, so they deserve a little recognition for their new and wonderful role. Here are some gift ideas for new dads that can inspire, laugh or that are practical in caring for the new baby. With the mum having a new wardrobe whilst pregnant, why not buy dad a humorous T Shirt to celebrate his new status. 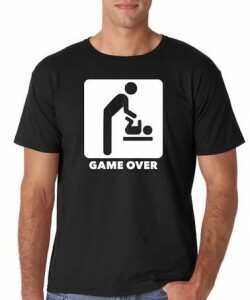 You can find a T shirt that says “Game Over” with a traffic warning triangle of a man on diaper duty or perhaps a T shirt saying “Man behind the bump”, which will be helpful in the delivery room as everyone will know who the father is. Get creative and come up with your own ideas and get this printed online or at a local printers. To mark the birth of the baby, pick a personalized photo frame of him with his new-born. Customize the frame with any message for example: “Daddy and Me” at the top and names at the base to create a lasting and memorable keepsake. You know that the new dad is going to be a great father, but if he’s a bit unsure there are a number of books on the market specifically to help men through the pregnancy that are how-to manuals packed with tactics to survive baby’s first year. Pick a book that has no nonsense insights, tips and advice for the first year, including how to change a baby at a packed sports stadium, construct an emergency diaper out of a towel, a sock, and duct tape and stay awake (or at least upright) at work. Or a book of inspirational quotes about fatherhood to reassure him that he’ll be a great dad. The new dad is likely to be spending a lot more time at home with a new baby to care for. A gift of a new pair of slippers will keep his feet warm when he has to get up in the middle of the night to change a diaper or walk back-and-forth to settle baby. It’s not unknown for a new dad to forget what he is wearing and go to the grocery store in his pajamas. To save his blushes, treat him to a pair of loose fitting yoga pants that are both stylish and comfortable that he can wear out without the need to change. As mum has been carrying the baby throughout the pregnancy, when the child is born it is now dad’s turn to help. An ideal gift for his is a baby carrier as it leads dad hands free, though he might also like a high-specification buggy too. Baby carriers can be slings and wraps for newborns and carriers to carry baby facing his chest or looking out. A baby-carrier also allows dad’s to build a strong bond with the new-born from the start. Ergonomically designed, get him fitted with a carrier so that baby sits comfortably and their weight is put on dad’s hips and not his neck and shoulders. Pick a diaper bag that looks like a bag for guys. Make it easy with a backpack style bag if he’s not used to carrying a shoulder bag. A backpack style is ideal for travelling and there are some that are large enough to carry diapers for multiple babies, with pockets and dividers to make diaper changing as easy as possible. The new dad will be taking lots of photos that of the new addition to the family. To capture those picture-perfect moments, treat him to a high megapixel digital camera with optical zoom and wide angle lens so he can capture them all. Buy a camera with built in Wi-Fi so he can instantly upload photos to social media sites which will earn him brownie points with the grandparents. Another gift for the new dad is a cordless screwdriver so he’s got no excuse for delaying the assembly of all the furniture and toys the new-born will be using for the next decade and more. Pick a cordless screwdriver that charges in just an hour to avoid any tantrums when the new-born is a toddler. 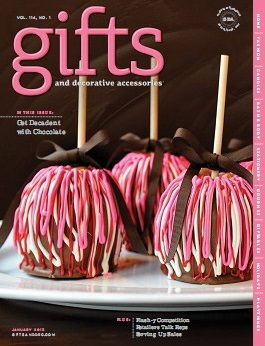 Or choose a gift that’s just for him. If he likes his music, but is concerned it may wake the baby, buy him headphones that don’t leak sound. Headphones with a universal-fit will allow him to use them with any smart-phone. The lightweight design promises hours of listening and won’t bother him if he falls asleep.